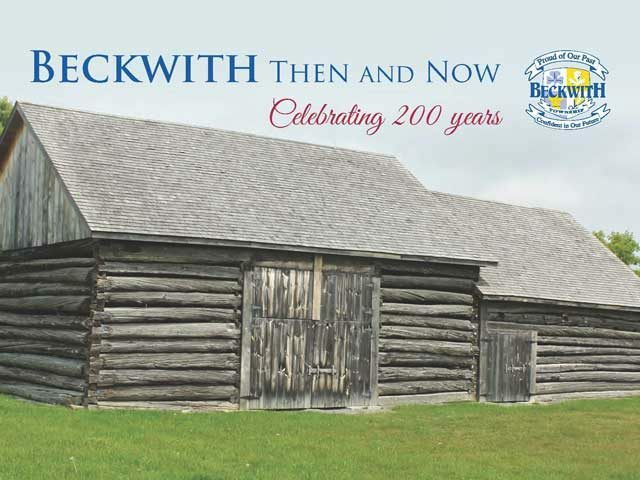 The Council of the Township of Beckwith are proud to announce, “Beckwith Then and Now” Celebrating 200 Years Books are available for purchase at the Beckwith Township Office: 1702 9th Line Beckwith $45.10 per book (HST included) The perfect book to share heart felt memories and original recipes from one generation to the next. For more information call 613-257-2588. The Township of Beckwith is located on the most easterly side of the County of Lanark and is bounded by the Townships of Montague and Drummond/North Elmsley as well as the Town of Mississippi Mills (formerly Ramsay, Almonte & Pakenham), as well as City of Ottawa. It is approximately 24,335 square hectares in area. The 2006 population is estimated to be 6,387.